by Rob - October 4th, 2011. Filed under: Awards, FlashForward, futurism. My novel FlashForward (published by Tor and the basis for the ABC TV series of the same name) was published in 1999 but is set today. In it, as many hundreds of people have mentioned to me over the years, I correctly predicted that the current Pope would take the name Benedict XVI. Well, here’s another prediction from that novel that just came true: I predicted that Saul Perlmutter and Brian P. Schmidt would be awarded the Nobel Prize in Physics for their work showing that the universe will expand forever. Today, they — along with Adam G. Riess — were named this year’s Nobel Laureates in that category. Congratulations to them! The laureates were Perlmutter and Schmidt for their work, mostly done a decade ago, that showed that the universe was going to expand forever, rather than eventually collapsing down in a big crunch. It was typical that the award was for work completed years previously; there had to be time for results to be replicated and for the ramifications of the research to be considered. Well, thought Theo, they were both good choices. There’d doubtless be some bitterness here at CERN; rumor had it that McRainey was already planning his celebratory party, although that was doubtless just scurrilous gossip. Still, Theo wondered, as he did every year at this time, whether he’d someday see his own name on the list. Wow!! Incredible, Rob! 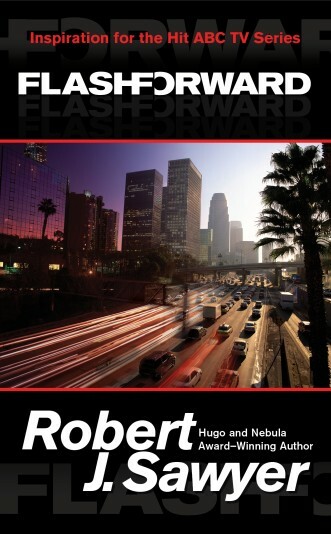 I have just checked this information in my copy of “Flashforward”… it’s awesome! What are my lucky winning numbers in the upcoming powerball drawing?